Sometimes the all important job of keeping the chlorine level up in your pool is not so easy, especially when the weather is either very hot or rainy. When the chlorine level drops, bacteria and algae can grow, making your pool the not so healthy place to be. Although nothing will take the place of taking a daily reading of the chlorine level, there are some things that can make it a little easier to keep up with your pool. Test the pool water with the testing kit to see if your pool is low on chlorine. If the water is very low on chlorine, place a chlorine dispenser that floats around in the pool with granular chlorine in it. The granular chlorine will dissolve fast and bring the level up to where it should be. Place chlorine tablets in the chlorine dispenser. The chlorine will dissolve over time and keep the water chlorinated. 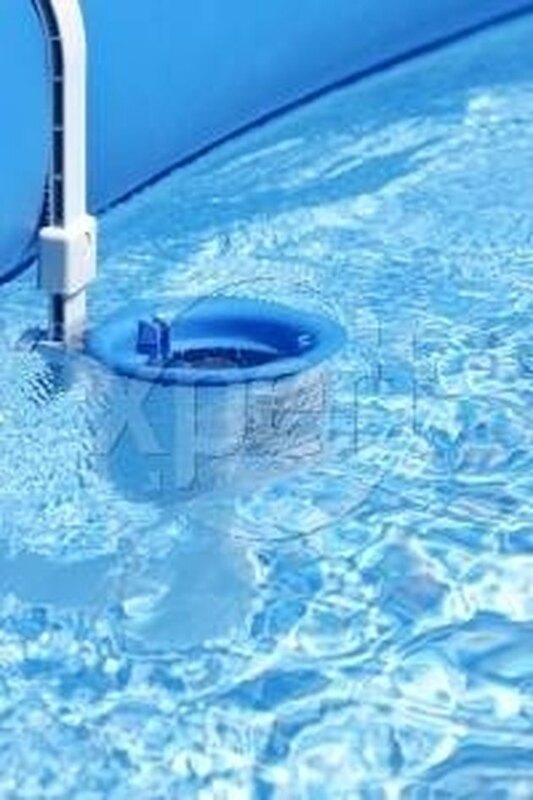 Install an off-line chlorine feeder made for an above ground pool to your filter system. Follow manufacturer's directions for installation; they are easy to install. Set the control valve to regulate the feed rate for your size pool. Fill with granular chlorine and it will automatically dispense the chlorine at the rate you set for it. Test with a test kit every day for a week or so to make sure the feed rate is correct. Adjust if necessary.